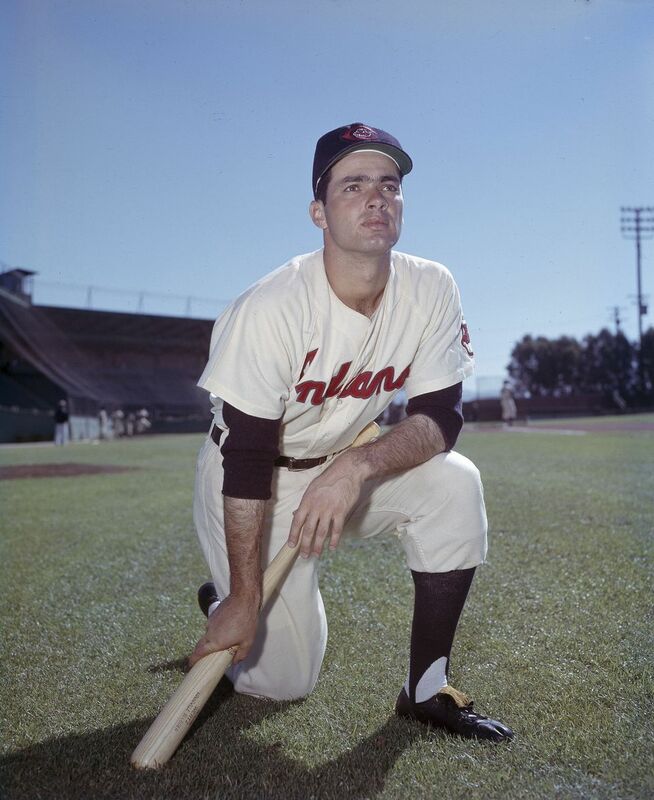 “Don’t Knock the Rock” – Rocky Colavito in March 1957, spring training, Hi Corbett Field, Tucson AZ. Off 1st “full” season, Rocky had a good ’57 but a great ’58 (41/113/.303/MLB-best .620 SLG) & 42/111 in ’59 before infamous “Trader” Lane swap to Detroit. Rocky would return to the Tribe in 1965, but the “curse” was in; the Indians would not get to the post season until the 1990’s.